The SAB is composed of 12 worldwide scientific authorities in the areas of the targeted research of our Severo Ochoa project: Functional Materials for 1) Clean Energy, 2) Smart and Sustainable Electronics and 3) Smart Nanomedicine. The first day of the visit started with an open session; the morning started with an overall presentation of the Institute by our Director Prof. Xavier Obradors, which was followed by the presentation of the main highlights and objectives of the three research lines evaluated (RL2 presented by Prof. Teresa Puig, RL4 presented by Dr. Marta Mas-Torrent, and RL5 presented by Dr. Imma Ratera). The afternoon counted with a poster session (with 18 posters in total) of the three evaluated research lines, and a visit to our new facilities and laboratories, such as the Pulse Laser Deposition (PLD), X-ray Diffraction (XRD), Atomic Force Microscopy (AFM) and Low Temperatures and Magnetomety Laboratories, the Nanoquim Platform, and the new clean room and laboratories in the Matgas building. The SAB members had the chance to interact with our researchers, students and staff members during the poster session and installations visit. This year, we included a new activity: an informal meeting during the coffee break between the SAB members and the PhD fellows (10) and support staff (5). During the meeting, the SAB members could ask questions about the training, mentoring, relationship with the supervisors, to the PhD fellows, and about the relationship with the technicians and researchers, the type of contracts and the working conditions to the support staff. 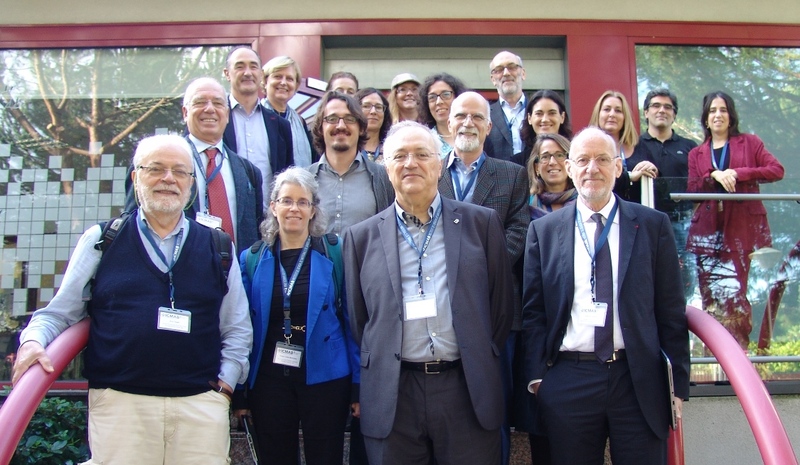 The SAB members really enjoyed the meeting and affirmed that it was very useful to know the "real life" at ICMAB. Figure: Meeting between the SAB members and the PhD fellows and support staff. Additional private meetings took place during the rest of the first day, and during the second day, which also included a presentation by ICMAB's Director on technical and economical aspects of the Severo Ochoa FUNMAT project. In the first visit, in 2016, the SAB members emphasized the friendly atmosphere of the Institute and the quality of the scientific research being carried out, in particular the enthusiasm showed by young researchers. In addition, they appreciated the excellent gender balance of the Institute, and encouraged ICMAB to keep working on this direction. During last year's visit (2017), they also expressed great satisfaction for the development of the Center, for the enthusiasm of its people, and for the quality and interest of the scientific work. They also highlighted the many collaborations between research groups and research lines (in terms of joint publications), the communication and outreach activities of the Institute, the organization of events and meetings, and they encouraged us to enhance the technology transfer in terms of agreements, patents and spin offs. 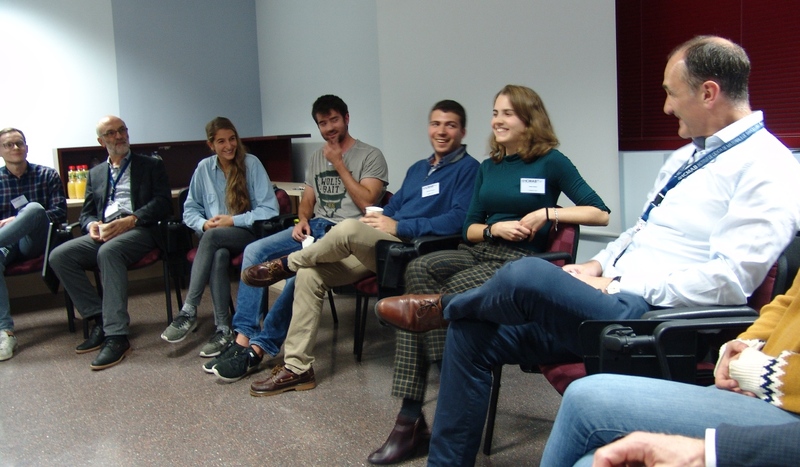 This year, the SAB members were impressed by all the diverse work performed by the ICMAB researchers of the three topics evaluated.